Texas: US President Donald Trump has announced that he would be “building the wall anyway”, while referring to setting up a barrier on the US-Mexico border, on Monday night at a rally in El Paso here. Trump has kept up his demand for the wall, despite Democrats labelling the fence as wastage of money. 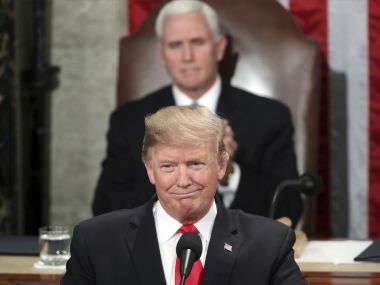 He has also indicated declaring a national emergency to get the barricade built – a claim which is strengthened by the US President’s remarks at the ‘Make America Great Again’ (MAGA) rally here on Monday. Armed groups agree to maintain Tripoli ceasefire – U.N.